We are proud to announce our new courses. These carefully curated courses are unique learning experiences in categories we feel passionate about. We wanted to make creative learning extraordinary, long lasting and accessible to anyone who wants to do it. These classes are a one-off so book early to avoid disappointment. There are limited places on each course, as we want to make sure everyone gets an opportunity for one on one teaching. A 4-week course in jewellery design which takes you from a complete beginner to being capable of designing, producing and selling your own jewellery line. 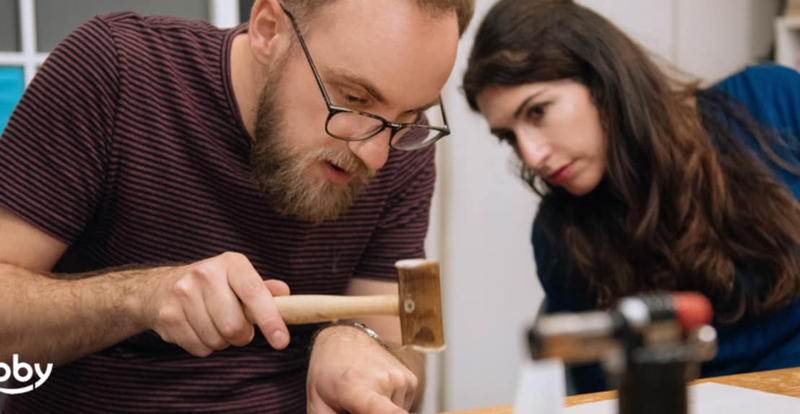 Taught by Roderick Vere, this jewellery design course is taught by one of our most talented and well-respected jewellery teachers. His Silver ring workshops were some of our best selling classes in 2017. This course isn’t just an experience. You learn something that you will use in later life. Whether you want to make jewellery for yourself, your family or to sell on to strangers. This is the perfect course to take you from a beginner to a comfortable place in your jewellery design journey. This four-week course introduces you to the art of meditation and the benefits it can have on your life. Designed and intended for those who have anxieties about meditation, this course takes place in a beautiful location tucked away in central London. Experts say that the group energy of a class can help alter your mind and helps you achieve a deep state of meditation. Taught from a book, which you are given your own copy of, this course is intended to encourage you to learn the skill of meditation in a way you can continue after the course has ended. After being introduced to the skill of modern meditation you won’t only be obsessed with meditation but you’ll be telling all your friends and family about how it’s changed your life. We cant recommend this course enough.